Once I was at the gym, doing my thang on the elliptical, and I sniffed a familiar smell. I turned to my right - nothing. Then I turned to my left, and the woman on the next elliptical was chowing down on a handful of Peanut M&M's. At first I was annoyed, then I was hungry. Then I wondered, "Has this chick discovered the true meaning of life?" 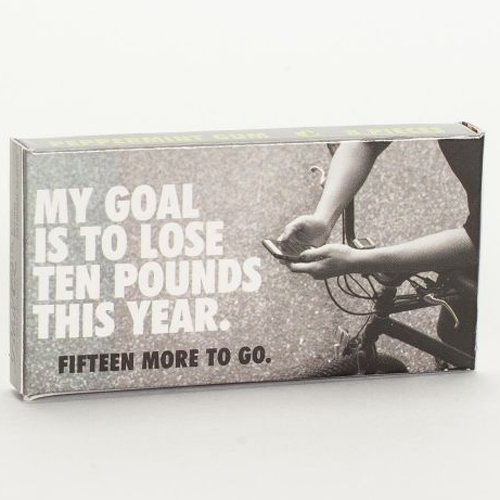 8 pieces of candy-coated, mint-flavored gum in each box.